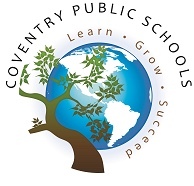 Coventry Public Schools is comprised of five schools. Our newest school created in partnership with Smart Start is our Coventry Early Childhood Center. Elementary students attend Coventry Grammar School for Kindergarten, First Grade and Second Grade, and the GHR Intermediate School for Grades 3-5. Early adolescents attend the Capt. 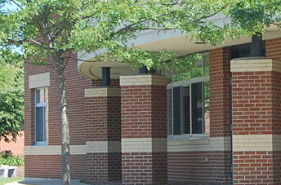 Nathan Hale Middle School for grades 6-8, and high school students attend Coventry High School for grades 9-12. Our schools strive to provide a high level of individual support to each student. Average K-12 class sizes range from 20-24 students. Seventy-three percent of faculty members possess advanced degrees, and all faculty members fulfill the Highly Qualified Teacher standards established by the federal No Child Left Behind legislation. Eighty-four percent of Coventry High graduates annually attend institutions of higher learning, with many attending the nation’s most prestigious universities. Coventry High School is accredited by the New England Association of Schools and Colleges. The district provides a comprehensive K-12 curriculum providing challenging and rigorous courses of study in language arts, mathematics, science, social studies, world languages, music, visual and performing arts, computer sciences, health and physical education. Coventry students have extensive access to computer technology, and educationally disabled students are provided with a full continuum of educational supports. Coventry High School provides students with many opportunities to earn college credit. Coventry High School students may participate in four Advanced Placement classes and five Early College Experience classes through a partnership with the University of Connecticut. 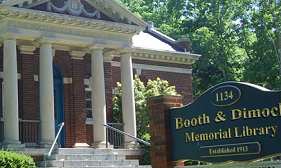 These two in-house programs are bolstered by partnerships with Manchester Community College and Eastern Connecticut State University, each of which provides opportunities for Coventry High School students to take college-level courses. 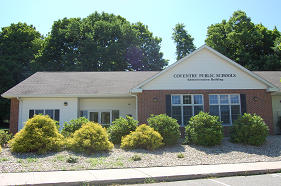 The Coventry School District is also committed to providing its students with a rich and comprehensive extracurricular program. Coventry High School features 16 boys and girls athletic teams. Now competing in the North Central Connecticut Conference, Coventry High School teams have earned an ample array of conference, county and state titles, including recent back-to back state titles in Girls Volleyball. Music students participate in orchestra, band and chorus beginning in elementary school, and numerous Coventry High School music students are chosen annually to participate in regional and state select performing groups.